Visitors to FunFest 2018 enjoyed perfect weather and a campus brimming with fun. Since the date ­— ­traditionally the third Saturday in March ­— fell on March 17, there was a jovial atmosphere and lots of “green” as visitors celebrated St. Patrick’s Day. 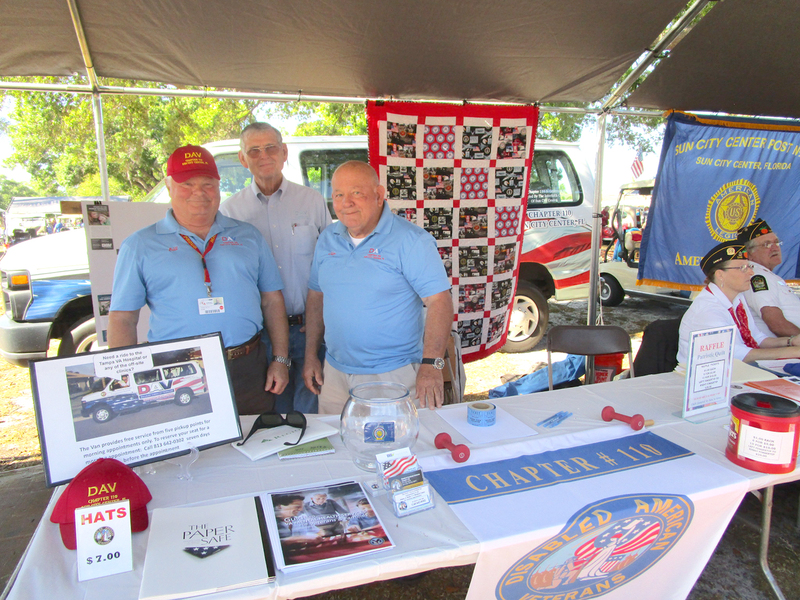 Held on the SCC Community Association’s Central Campus since 2000, this annual event is an opportunity for CA clubs and sponsoring businesses/organizations to showcase their activities and products. Thousands attend each year to experience the spirit of the SCC community. Community Association President John Luper, at a March 21 Membership Meeting, thanked the committee, the CA staff and all the volunteers for their part in putting the “fun” in FunFest. “A successful event like this doesn’t just happen; it takes a lot of planning and effort,” he said. Next year FunFest will be on March 16, 2019. The Registered Nurses Club was checking blood pressures. 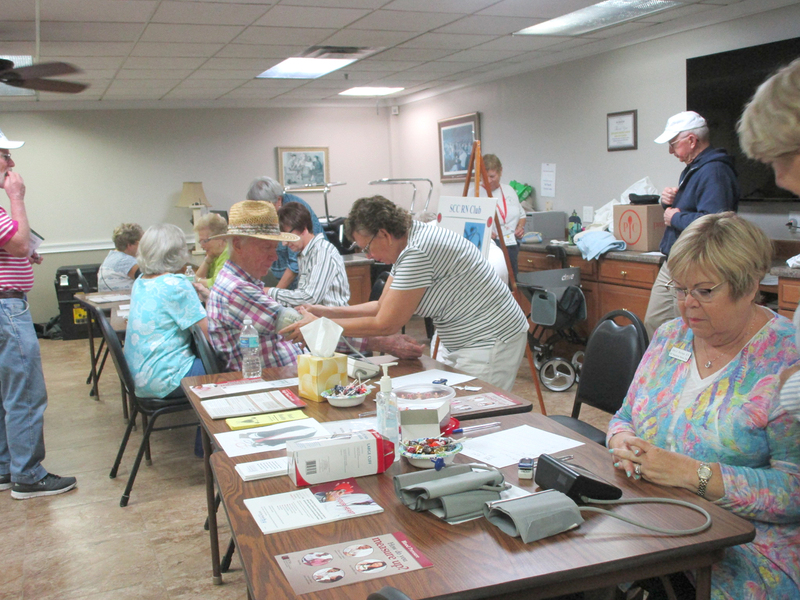 The Health Fair portion of FunFest was organized by Lynne Murphy, RN Club president. FunFest visitors had many opportunities to win prizes. 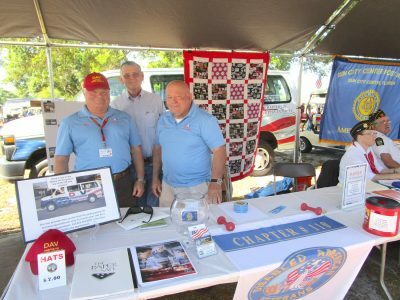 The SCC Sew ’n Sews donated a patriotic quilt (in background) to the Disabled American Veterans for raffling. From left: Bill Atkins, Darrell Katz and Jim Fletcher.